Mizutani Black-Smith Beak Hair Cutting Scissor has the beak or Tips of a Bird. Super Fine. Mizutani Beak is designed with a convex edge, and Cobalt Steel. 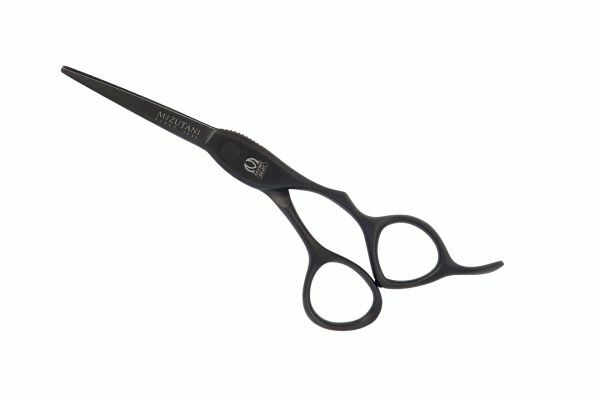 The "Precision & Detailing Scissor that allows the stylist to precisely detail any part of the hair, Beak has the same handle as the Fit Series, which is triangular handle for a comfortable grip. Available in a Matt Black Titanium Finish, an Ideal option for those allergic to metal. Highly resistant to corrosion, and surface scratching. Key included to adjust Flat Tension Screw.